Los Angeles — Night falls and the lights of the “Hollywood” sign flicker to life. Long strings of headlights snake their way up the hills to a small canyon overlooking the city. 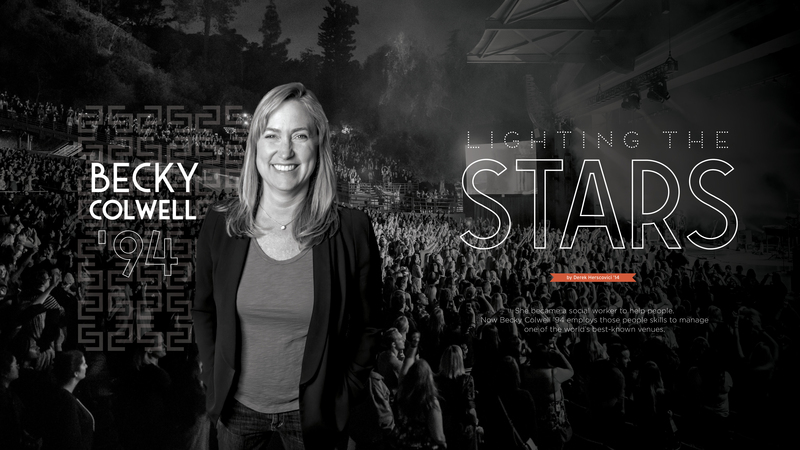 Inside the Greek Theatre, General Manager Becky Schmidt Colwell ’94 is doing last-minute checks on the sound, lighting, concessions—anything and everything to ensure every aspect of the concert is perfect. She’s been here before anyone else; she’ll likely be one of the last to leave. How Colwell got to Los Angeles from small-town North Carolina is a story worthy of Hollywood itself. It involves Auburn, people skills and a whole lot of music. But that can wait. Right now it’s show time. Growing up in North Carolina, Auburn was never far away. Several of her friends from high school were already on the Plains, but it was her sister Sarah Schmidt Coe ’88 that truly convinced her. A member of Alpha Gamma Delta sorority, Colwell was drawn to event and party planning, but saw no future in it. A lifelong fan of live music, she benefited from an energetic concert scene in the early 1990s, where live acts were constantly performing. Colwell remembers Garth Brooks at the arena, and swears she saw an early Dave Matthews Band playing a house party. Colwell settled on a degree in Family and Child Development from the college of human sciences, mostly for its broad applications. Returning to North Carolina as a social worker, she worked at a group home for boys, contemplating a master’s degree, but after a couple of years, her passion for the job had waned. In 1998, she agreed to a summer job with the 20,000-seat Walnut Creek Amphitheatre in Raleigh managing their part-time staff. A major tour destination for live acts around the country, Colwell figured she’d see some shows, make some money and, after a few months, revisit her old job. A couple months in, recognizing her people skills, the sales department offered her a job selling season ticket packages, box suites and sponsorships. At a crossroads in her career, Colwell took the chance, becoming a full-time sales employee for the next five years. Then, in 2002, while attending a concert at the newly-opened Koka Booth Amphitheatre in Cary, N.C., Colwell had a chance encounter with the venue’s general manager. Months later, she called to ask if Colwell wanted to interview for her job. At the time, the company that managed Walnut Creek, SMG, also managed 20 venues around the country, all of them amphitheaters. Koka Booth was one of them. With a total capacity of just over 7,000, the amphitheater would be significantly smaller than Walnut Creek, but her role would dramatically increase. Was she nervous? “Totally. I wasn’t shy about that. I always feel that general managers are not going to know every detail—they’re gonna know enough to support the team members that they put in place, so they should hire the people that have the expertise in those fields.” She had little time to prepare, though: after accepting the job in January, Colwell only had three months to prepare for the first show of the season—none other than Bob Dylan. That was in 2003. For 12 years, Colwell’s reign as GM of the Koka Booth was one of tranquility and efficiency. 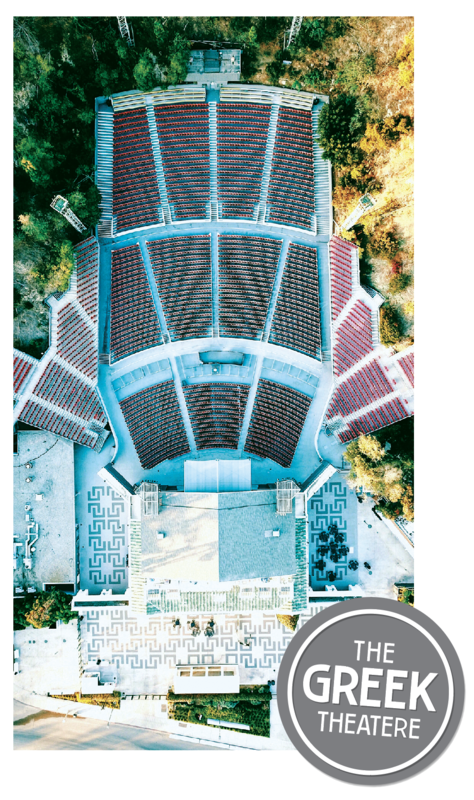 The amphitheater became one of North Carolina’s premier venues, hosting top acts like Sheryl Crow, the Doobie Brothers, the Black Eyed Peas, the Steve Miller Band, Chicago and many, many more. Through it all, Colwell learned that the hardest part of the job, above everything else, is managing expectations. Most people are surprised that Colwell attends every show, but completing the checklist—arriving before the tour does, setting the vendors up, checking security protocols, ensuring guests are in their seats on time—is the most crucial part of her job. Meanwhile, in Los Angeles, SMG had just acquired the operating rights to the historic Greek Theatre and was building its new front office. Colwell remembers exactly where she was—managing a Cheap Trick show—when the phone rang. At first, Colwell admits, she wasn’t. One of the most famous amphitheaters in the world, the Greek was a professional level she had never considered. The enthusiasm from SMG for her to manage one of their crown jewels was intriguing, though. No matter how daunting the job was, the more she thought about it, the harder it was to resist. After a successful interview with the parks and recreation department of Los Angeles, she had to decide. In an interview with L.A. Weekly published just after her arrival, Colwell said accepting the offer to join the Greek Theatre was the easy decision—moving to Los Angeles? Not so much. 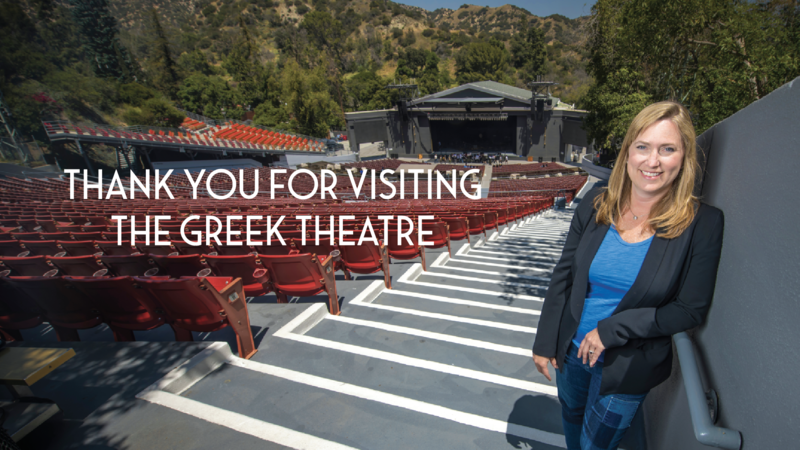 Located inside the sprawling Griffith Park, the Greek has hosted live performances since opening in 1931. Like many venues around the country, the Greek was repossessed by the city of Los Angeles after its 40-year contract with the Nederlander Organization expired. The Greek is a municipality of the city, with outside management groups like SMG brought in to run day-to-day operations. Concert promoters then contract the venue to host their shows. The city would put the Greek’s revenue back into the park system, but the drawback to taking over after 40 years was starting from scratch, literally. Colwell hosted monthly ‘coffee hours’ and nighttime meetings with residents to hear their concerns. The city had warned her about past difficulties with residents; responding to their needs quickly was critical. She knew she wouldn’t last long if she didn’t win them over. to work is unheard of. They had hoped for a soft opening on her first show, but Latin-pop icon Pepe Aguilar drew a full house. A ‘bucket list’ destination for a lot of acts, the Greek’s season from April to October is always full, forcing the city to cap their schedule at 76 shows a year. She’s never said no to an act who wanted to play the Greek. Throughout the years, Colwell’s had the opportunity to meet hundreds of artists, but she usually tries to respect their space and privacy. If invited, she’ll visit, but she understands the toll months of touring can take. At an industry conference, the singer Halsey told her about just wanting 45 minutes alone to call her mom. If they leave the dressing room dirty, it’s not a big deal. There have been some tough shows—an Evanescence concert was nearly derailed by a brushfire—and plenty of great ones. Colwell’s favorite show? Near the end of the 2017 season she received another call from SMG, this time about attending a conference in Nashville. She said she couldn’t go, but the caller persisted. 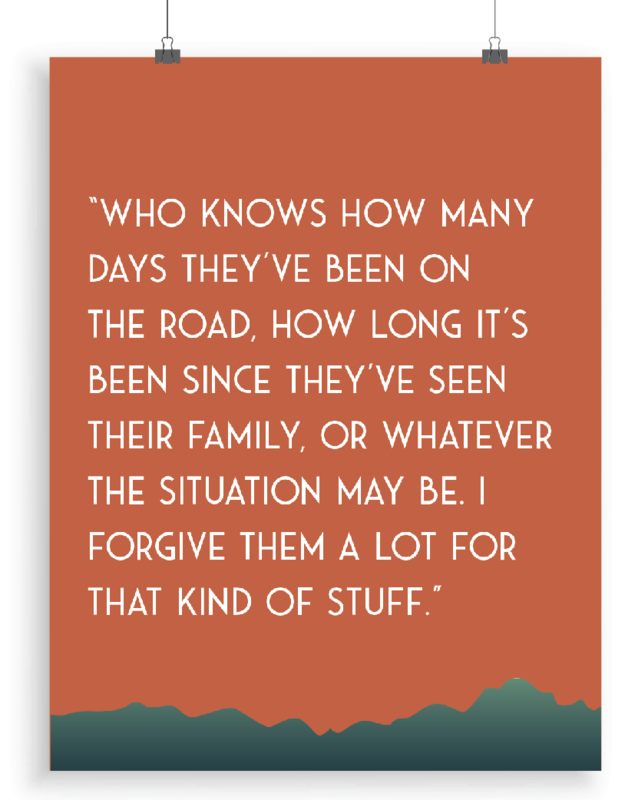 She suspected nothing until his questions became more specific: can you come for one day? Specifically, October 17. She soon guessed why. Colwell was named Venue Executive of the Year from the International Entertainment Buyers Association (IEBA), in recognition of her work guiding the Greek through the changeover. She didn’t realize how big of a deal it was until she arrived in Nashville to receive the award. After a career of fixing the spotlight on others, Colwell was rewarded with one of her own. Just don’t expect her to step out from behind the scenes again anytime soon-. That’s not her style. Just weeks away from the start of her third season with the Greek, Colwell is getting anxious. In her view, 2016 was all about getting up and running, while 2017 was about working out the kinks; 2018 will be about getting it all just right. For Becky, David and Sidney, adapting to L.A. life is less intimidating now that they’ve found a community to call their own. They’ve made a list of sights to see and Colwell has connected with the Auburn Los Angeles club. Hearing “War Eagle” feels like coming home again.